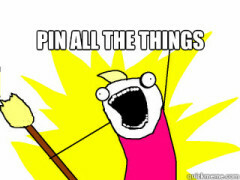 As it turns out, there’s more to Pinterest than pretty pictures. For brands, Pinterest is a great resource for spreading the word about what you make, and who you are. In fact, when used strategically, Pinterest not only helps you promote your brand, but also observe what’s popular, enhance your branding, and more. With that in mind, here are some tips for making the most out of the social network everybody’s talking about. Say you’re a brand like West Elm that sells home goods such as glassware and furniture. Use Pinterest to showcase your products in action – being used as serving dishes at a dinner party, set out beneath a picture of a pie recipe on a food blog, or as part of a wedding banquet. 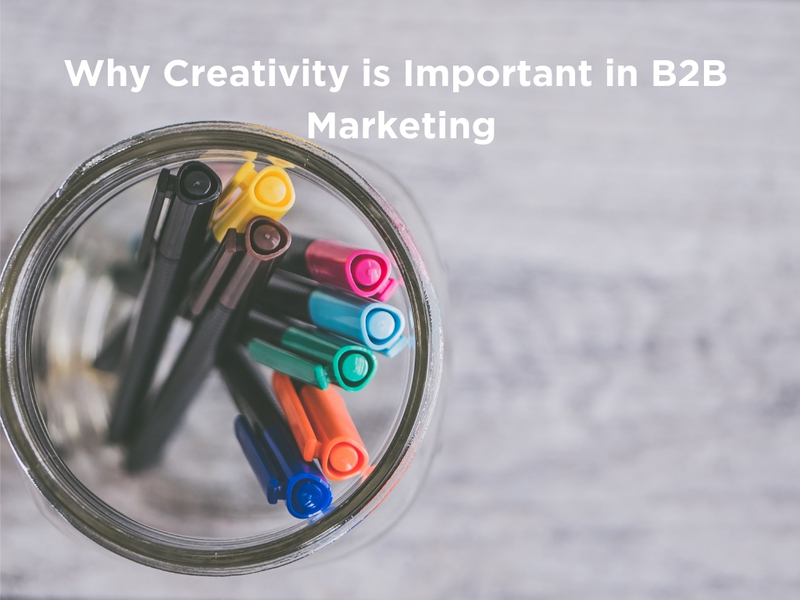 Pretty pictures do well on image-focused Pinterest, and when those pretty pictures showcase your products, they’re the perfect way to promote your brand online. Bloggers love sharing their opinions about products and services. Are any of them talking about what you sell? 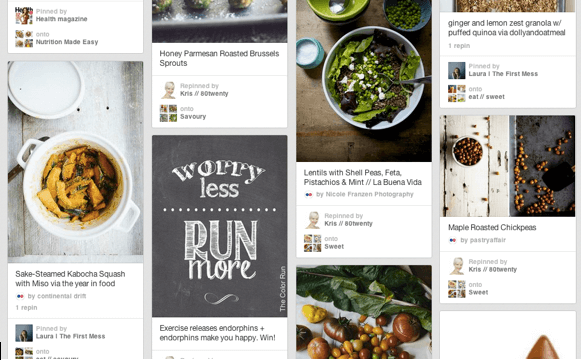 Pin the good feedback to Pinterest to help spread its reach. Customer referrals are essentially referral marketing, and there’s little more powerful than that. Photo book company Artifact Uprising demonstrates this well on its boards. 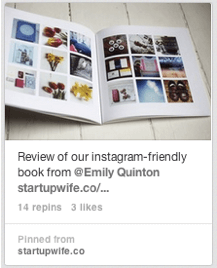 Pinterest provides a great opportunity to share more of your brand’s story with your followers. Say you’re an organic grocery store like Whole Foods, specializing in natural foods and products. Of course you should set up boards with dinner recipes and ideas for using vegetables, but why not use Pinterest to also showcase gardening ideas and luxury kitchen designs, when those are representative of what your brand is and does? Pinterest gives you an opportunity to provide a fuller picture of who you are. Hand-in-hand with the last point is this one: Post content relevant to your brand. 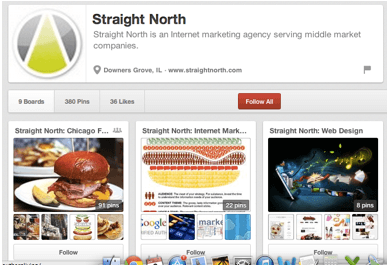 If you’re a Chicago-based marketing company like Straight North, this might mean boards about Chicago food, as well as boards about web design. If you’re a design blogger, it might mean cool kitchens or inspiring architecture. Think about your areas of focus, and let those inform the things you post. Pinning your own blog content is sixth in this list of tips for a reason: Sharing your content should never be the bulk of what you post. 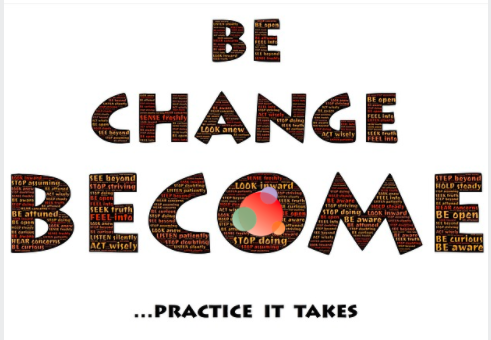 Social networks are about being social, collaborating, promoting one another, and interacting. So when all you do is share your own content, you seem like that annoying guy at a party who won’t shut up. Still though, sharing your own content tastefully is a powerful way to promote your blog online. Followers will click the link through to your page; some might share it with others; and so on. 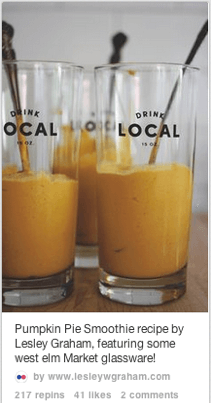 Consider setting up a board dedicated to your blog content, the way blogger Beth Kirby of Local Milk has done. This allows her to showcase her own content while also engaging and interacting around work done by others. The flip side of using Pinterest for content marketing is less about what you post and more about what you see. Follow your industry’s top bloggers and businesses. Follow users who inspire you and share your passions. As you watch those users pin content over time, you naturally gain ideas and inspiration to fuel your own work. 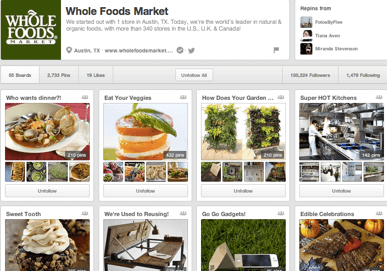 Have you been using Pinterest for content marketing already? Why or why not? In either case, do you think using the ideas in this post could help you achieve the results you’re after? Why not give them a shot? Shanna Mallon is a writer for StraightNorth, a Chicago web design firm providing specialized SEO, Twitter marketing strategy, web development, and other online marketing services. Follow StraightNorth on Twitter @straightnorth.